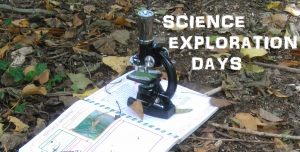 We are launching our brand new Science Exploration Days. Led by an experienced teacher, these days use children’s natural curiosity to develop their scientific thinking and broaden their contextual knowledge. We can search for animals in the hedgerows, woods or stream; investigate the mass, acidity or strength of different fruits; work out the best way to build giant towers out of 9ft canes; and a host of other exciting activities.